Welcome to Macomb Spine Care, I am Dr. Daniel Clark D.C., a back pain & disc specialist for over 30 years. I have been helping hundreds of people just like you live pain-free. As a back pain specialist certified in the Cox® Technic, we focus on the examination and diagnosis of the patient. 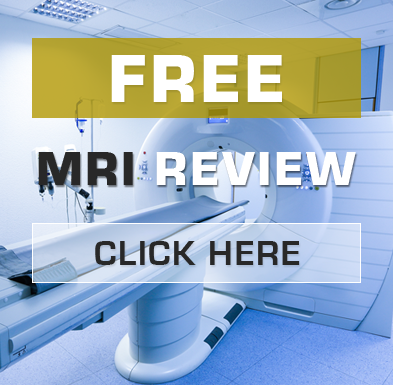 I offer an MRI Review for evaluating your cause of pain so just bring your MRI disc and report or CT scan with you on your first visit with me. Spine Care need not be a long-term treatment requiring numerous visits. Many problems can be fixed in just a few short visits with a careful and focused approach without the use of drugs, injections or surgery! Macomb Spine Care specializes in Non-Surgical Spinal Decompression methods, utilizing the Cox® Technic, backed by federally funded research, to treat neck, back and sciatic pain. These conditions can be a result from failed back surgery, bulging/herniated discs, degenerative disc disease and stenosis. In conclusion, I want you to know that there is real hope at relieving your chronic pain despite whatever you have been previously told because here at Macomb Spine Care, 30 years of experience really does count! At Macomb Spine Care healing the root cause of your pain is our main concern. We understand you want pain relief and desire to live your best life feeling healthy and pain free. As the disc degenerates, the gel-like nucleus loses its hydration, reducing disc height and creating the possibility of facet syndrome and lateral foraminal stenosis. 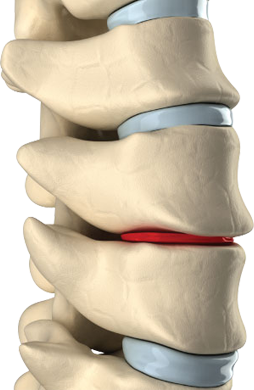 Furthermore, disc degeneration causes the pliable outer coating of the anulus to become brittle and susceptible to cracks and tears that can lead to disc herniations. Bulging or herniated discs often press on spinal nerves, causing severe pain and radiculopathy. It is widely accepted that the ideal environment to improve disc pathology is to decompress, or reduce the intradiscal pressures of the damaged disc. Dr. Clark and his staff have been treating me for over a year. I have receive significant pain relief from Dr. Clark's comprehensive spinal care. He and his staff are very dedicated, knowledgeable, caring, and friendly. 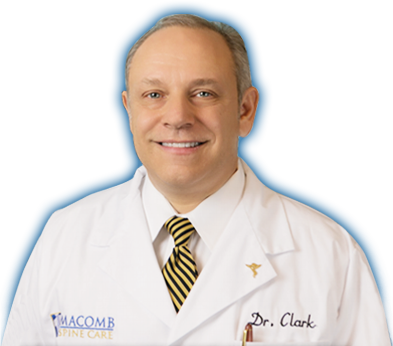 Dr. Clark is truly a leader in the spinal care field. I would highly recommend the Macomb Spine Care to anyone with back or neck related issues. Spine surgery is not a long term answer or safe alternative. It generally leads to additional required surgeries. I have many friends and family that took the surgery route and knew from their experience that it was not for me. I always have the best night's sleep after seeing the doctor. It is remarkable what a difference it makes. I don't know how anyone with any kind of discomfort can go without seeing the chiropractor. I think he can fix just about anything. The care is amazing. I feel incredible. Just to think a few years ago I could barely walk and now the sky is the limit! (Well according to me and not Dr. Clark). :). The staff and massages top it off. Thanks for wonderful care! great job – If you\'re looking for a good team, look no further! These guys are the real deal. I am VERY impressed with them. Over the top in terms of performance and medical skills. great job – If you\'re looking for a good team, look no further! These guys are the real deal. I am VERY impressed with them. The effort they but forth and the results achieved were excellent. Over the top in terms of performance and medical skills. I have been under Dr. Clark’s care for about a year and a half. I have received the best care possible from Dr. Clark and his wonderful staff! I could not be more pleased! Dr. Clark and his staff have been treating me for over a year. I have been under Dr. Clark's care for about a year and a half. During this time, Dr. Clark took me from a condition of having a tough time walking around the block to being unlimited in exercise duration. I highly recommend Macomb Spine Care to anyone experiencing back or neck problems. They have some of the best customer service I have ever seen. Putting their customers first is definitely a priority here and it shows. Not only were they able to provide everything they promised me, they went above and beyond and exceeded my expectations. They really paid a lot of attention to my problem area, which is the reason I went. When I told them where I was in pain they put much of their focus on eliminating discomfort in that area. I really admire them for being more than willing to ask for help from other professionals in the field when they don't have an answer to my question. They aren't even slightly arrogant, and I'm confident they always have my best interest at heart. All of my questions were answered during my appointment, and the doctor seemed very knowledgeable. They were happy to answer each and every question I had in-depth. After years of dealing with chronic migraines, I was more than thrilled to find such amazing help and relief. Dr. Clark truly is a miracle worker and I am proud to say that being under his care has helped me regain my normal day to day activities. Thank you Dr. Clark and your wonderful staff! Dr. Daniel Clark is a gifted doctor in every respect. He has taken care of problems in my health that I spent decades spinning my wheels with other MDs, DOs, etc... I have had migraine headaches since I was 5 years old and lived (suffered) with them for over 40 years. He showed me (on x-ray) how I had had an injury in my neck as a child that had never healed properly and had degenerated over the course of time into the mess that finally brought me into his office. He clearly outlined a treatment plan that would correct the old problem and he was very honest with me. He told me that it would take the better part of a year to fix this 40 year old problem and he was right. His treatment plan included the adjustment and the life saving Non-Surgical Decompression Therapy, cold laser therapy, and nutrition. A year later I now can say that I am headache free and I don't have the other aches and pains that I used to live with everyday. He told me that if I followed his treatment plan to the letter that I would get great results and he was 100% right! Thank you, Dr. Clark! They are an absolute expert in the field. I would never feel unsafe or apprehensive in their care. They were by far one of the best I've ever seen in their field. It was obvious that they've been exceeding their clients' expectations for many years. They were always ready to see me when I showed up for my appointment. I never had to wait for them to show up. I didn't have to wait at all after I arrived for my appointment. They were running right on time, which is a really big deal for me. They always make sure to return my phone call as soon as possible. They've never left me waiting. It is rare these days that you will find a chiropractor that actually cares, but I found Dr Clark to be a diamond in that regard. He actually takes the time to listen to your needs and concerns. I have been a patient of his for over two years and have found him to be the best around. He not only cares, but have some of the latest technological equipment available including spinal decompression machines and uses several techniques to suit the patient. I would recommend Dr Clark to anyone who is looking for a quality chiropractor.